Prompted by his mother's death from breast cancer, ethnobotanist Paul Alan Cox traveled with his family to a remote Samoan village at the edge of a rain forest to search for new leads in treating the disease. Working closely with both native healers and the U.S. National Cancer Institute in an analysis of traditional rain-forest remedies, Cox discovered a promising new plant-derived drug, prostratin, for a different, but equally serious malady: AIDS. The promise of this new drug lead was soon overshadowed, however, by news that a logging company had started to destroy the 30,000-acre rain forest where Cox first collected the plant that yielded prostratin. 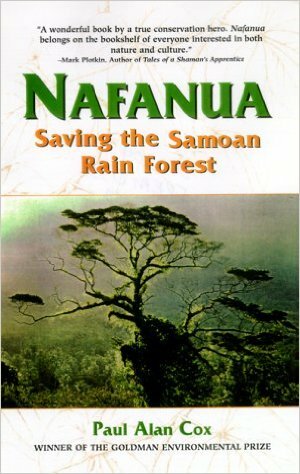 It was then that the village elders began to instruct Cox in the legends of Nafanua, the Samoan goddess who in ancient times freed the people from oppression and taught them to protect the rain forest.